"The Thrill of a Lifetime!" A remarkable vision. An incentive spirit. 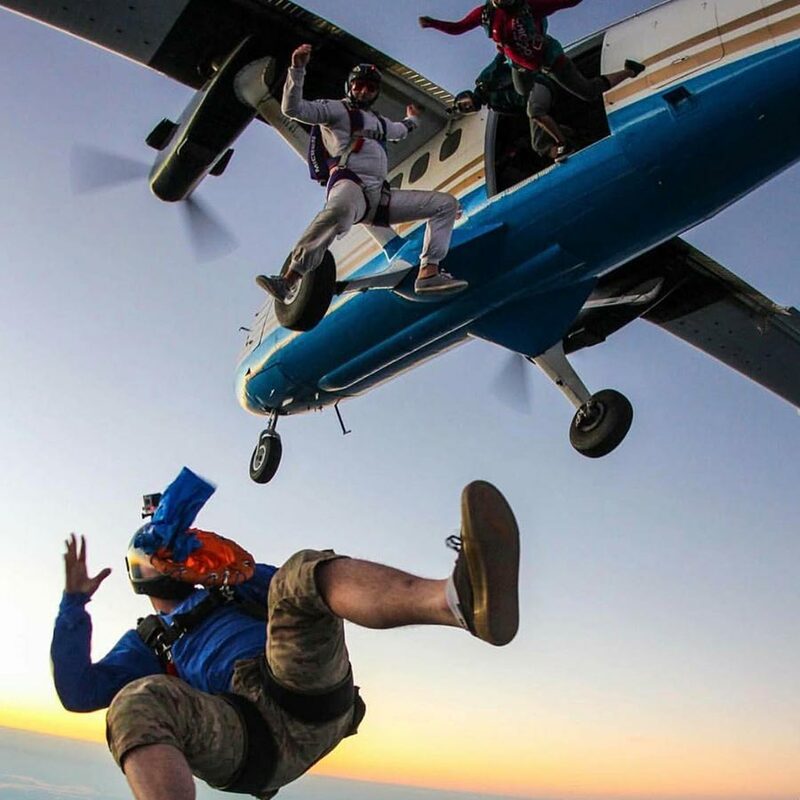 Don't trust your first skydive to just anyone! 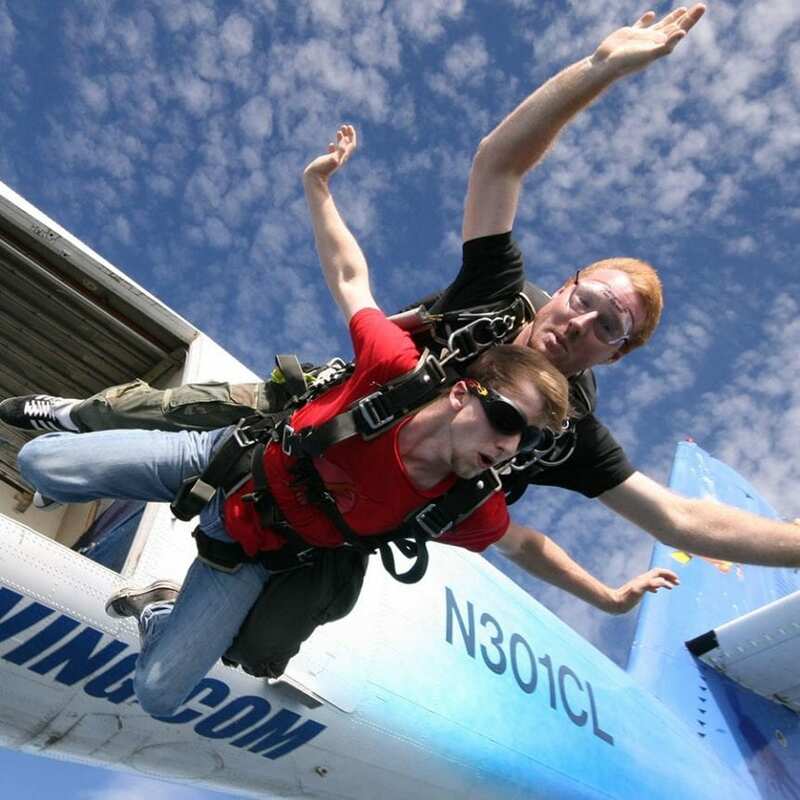 Come experience the thrill of freefall at the number one skydiving center in the state! FEEL WHAT IT’S LIKE TO SKYDIVE IN ATLANTA AT SPEEDS OF 120MPH, FROM 14,500 FEET IN THE AIR! Skydive Georgia is located 1 hour west of Atlanta. 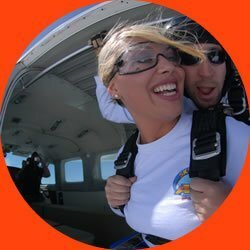 We are the largest training dropzone in Georgia. 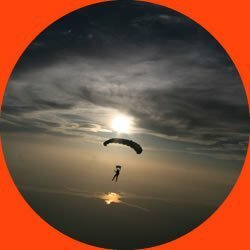 We are the only dropzone open 7 days a week in Georgia. EXPERIENCE A MAGNIFICENT INTOXICATION TODAY. 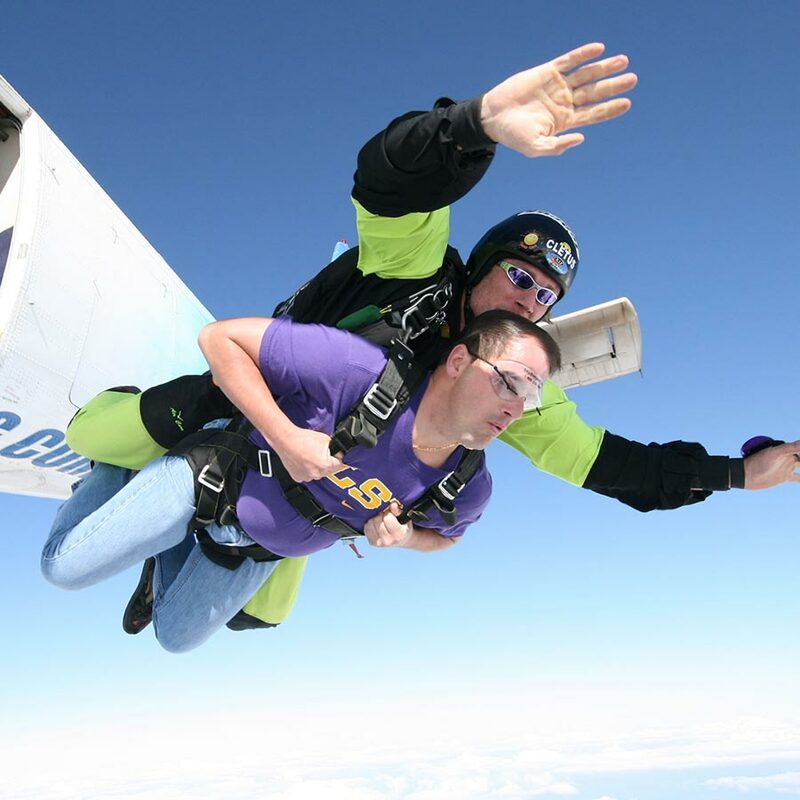 A Tandem Skydive with one of our super experienced members is our recommended method for your first jump. We have the best facilities, the biggest, fastest aircraft, our instructors are more experienced and we get you higher!! 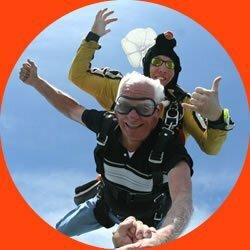 Our experienced instructors will teach you how to skydive safely. Skydive Georgia provides students with the latest equipment on the market. Freefall video and photography services are available – share the thrill of skydiving with friends and family! 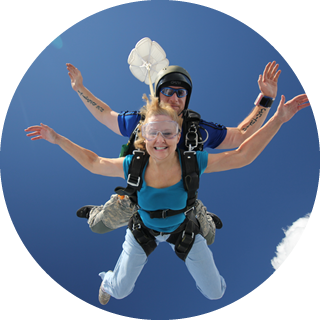 Experienced or not, our friendly and helpful staff is committed to giving you a great skydiving experience! Skydive Georgia is a group member of the United States Parachute Association (USPA). The entire time I was with Skydive Georgia I felt like they knew what they were doing. The instructors clearly had lots of experience and answered all of my questions before the jump. Nothing could have prepared me for the sheer adrenaline spike once we exited the plane. The views were awesome and the landing went really well. Seeing Georgia from the sky was something that I’ve never fully appreciated until I jumped. I feel like I just saw all of it for the first time. The landing area was in Cedartown which is a pretty cool little spot. Everything was prepped out and ready, which made everything super easy. I would totally do it again and am even thinking about getting certified. Now it’s time to bring some friends out and convince them to take things up a notch. I never thought that it would be such an exciting jump! I mean, I knew that skydiving was going to be intense but never assumed it would be as great as it was. The instructors really knew what they were doing and made me feel comfortable during my whole time with them. Thank God they did, because I had no idea how crazy the jump would be. I would most definitely recommend this place for anyone who considers themselves to be a thrill seeker and might even go back for more. 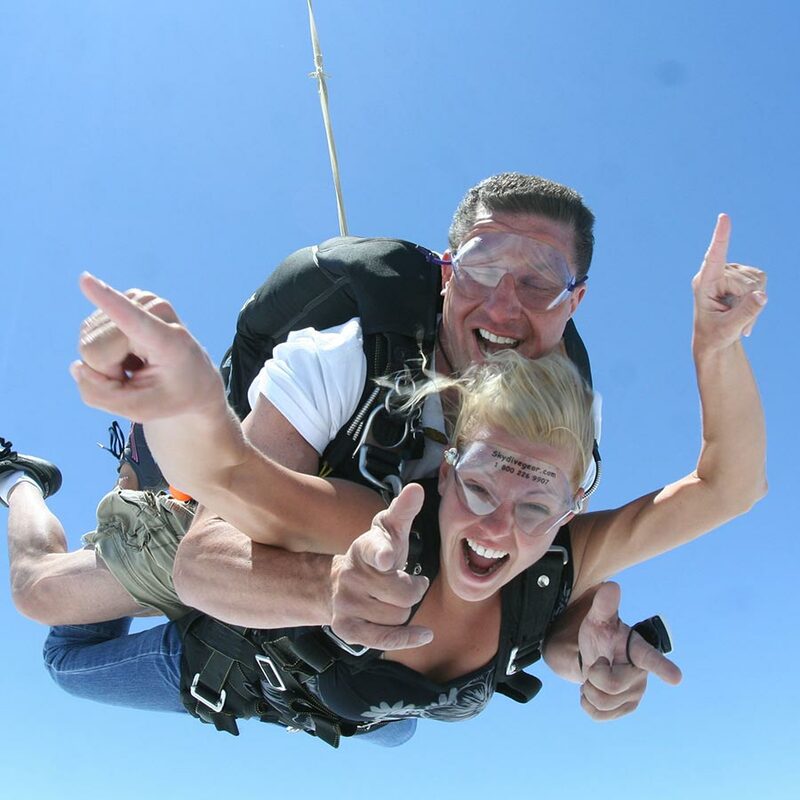 The tandem jump package met and exceeded all of my expectations. The best part of the whole thing was the instructors. 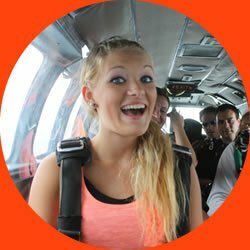 I completed the Accelerated Free Fall course and it blew away my expectations. Not only were all of the guys there really friendly and laid back but they also knew their stuff. It makes the progression much better when you can really trust what you’re being taught and make new friends along the way. I can see how this is such a tight community now that I’ve met all of these cool people. For someone thinking about taking the step and doing a hard-core sport, this is the place to get you started. I can’t wait to keep jumping for years to come because there’s nothing like it. For learning such a wild skill, this is for sure the place that will get it done. I was in from out of town and my buddy asked me if I wanted to go skydiving. I didn’t really think too much about it because he is one of my adrenaline junkie friends but next thing you know we were on our way. The staff was cool, and made it easy. 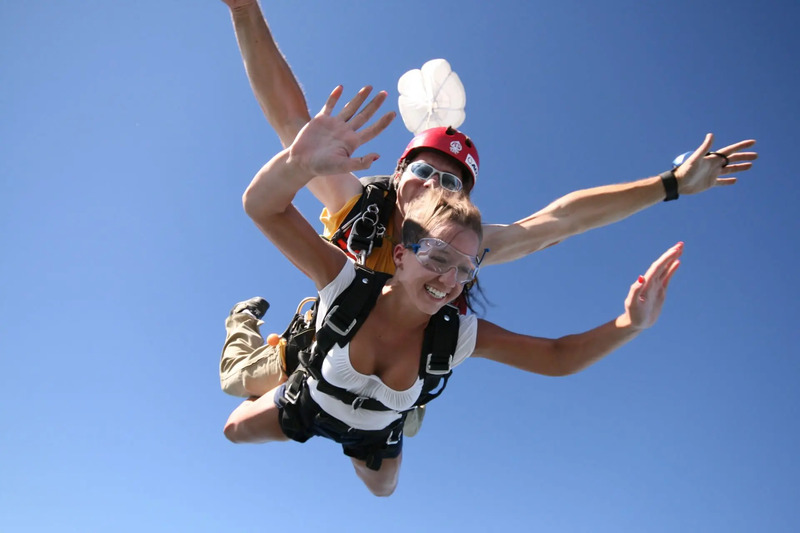 With the tandem jump, you pretty much show up, get an overview, and you’re going up. The views were even crazier than I expected and we actually went through some clouds on the way down which was nuts. We got the basic video package which was plenty for us and now at least I can prove it to my friends in ATL that I actually did it. It was all straightforward and easy. I would definitely do it again if I had the chance. Might even get certified but I’ll leave that to my buddy because he’s always trying to take things to the next level. I did a tandem skydive with these guys and it was so much fun. 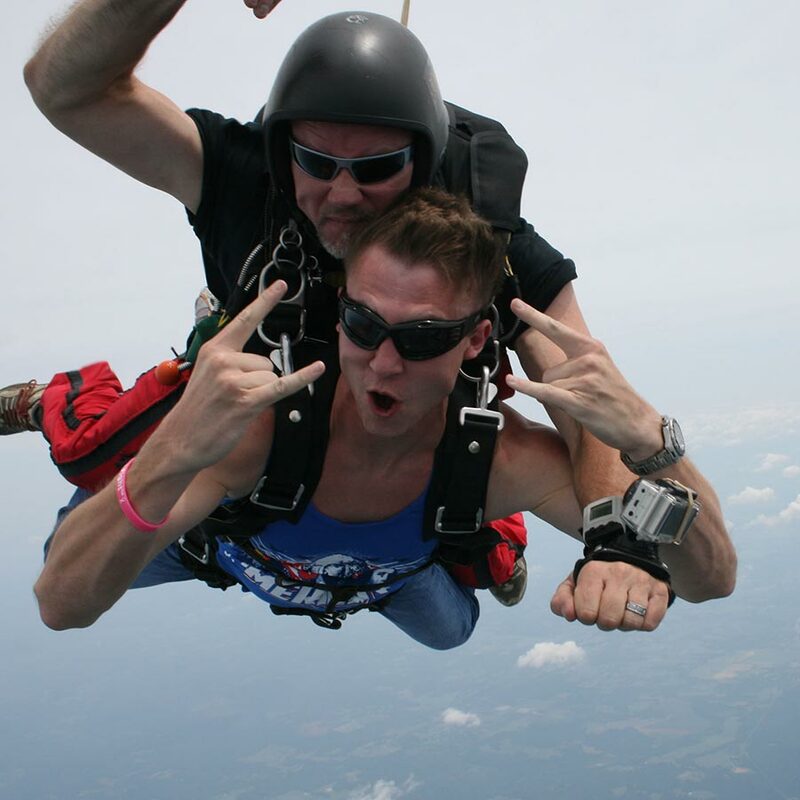 I never thought I’d be jumping out of planes but hey, sometimes things get crazy. I went with a couple friends and it was sick. I’ve always been into extreme sports but this was some next-level stuff. 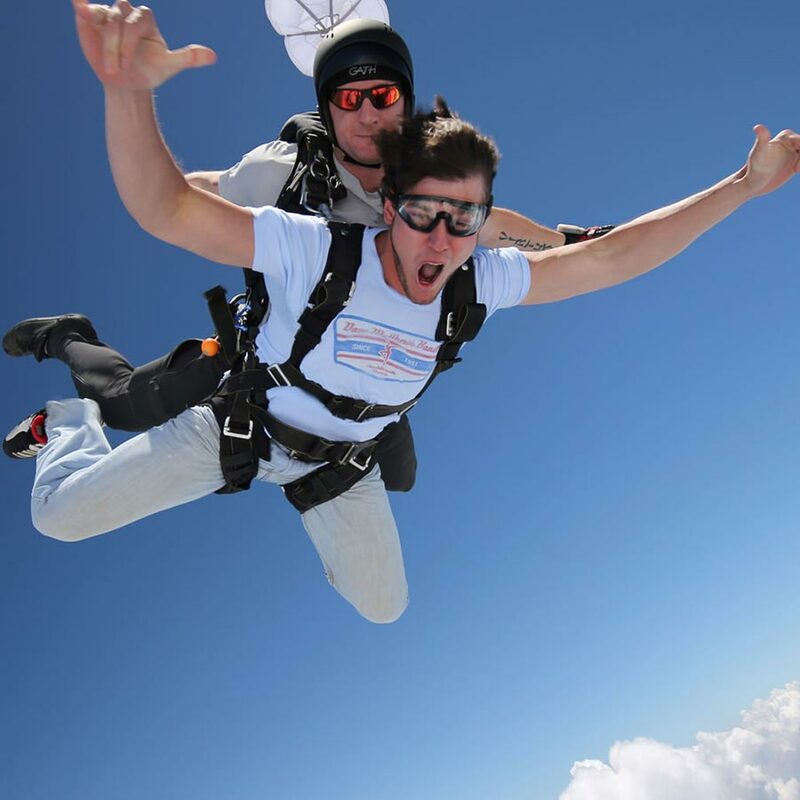 The feeling you get at 10,000 feet is like nothing else I’ve ever been a part of. The place was nice and the staff was cool. They set everything up over the phone which made it easy. We walked in and they were ready for us. Jumping out of a plane is insane but I didn’t realize that the area around Cedartown was so beautiful. The trees and the hills take on a difference face when you look down on them. I always knew how beautiful it was here but it seriously left me stoked after we landed. The landing, by the way, was smooth and went down just right. The instructor was a pro for sure and made it so I didn’t have to worry about anything but having a good time. I won’t lie when I say I was scared. Who wouldn’t be when you are jumping from planes. Anyway, considering that, it was cool. Definitely something that I can check off of my bucket list now. I’m glad I got all of the videos because now I don’t have to jump again. My friends got me a gift certificate, which is cool, and it forced me to do something I never thought I would. I’m glad I went and my friends all waited for me at the landing area which was nice. It’s a really sweet place to touch down and everyone who worked there was really reassuring which helped my anxiety a ton. Thanks to all of the new friends that I made and I’ll never forget the experience. 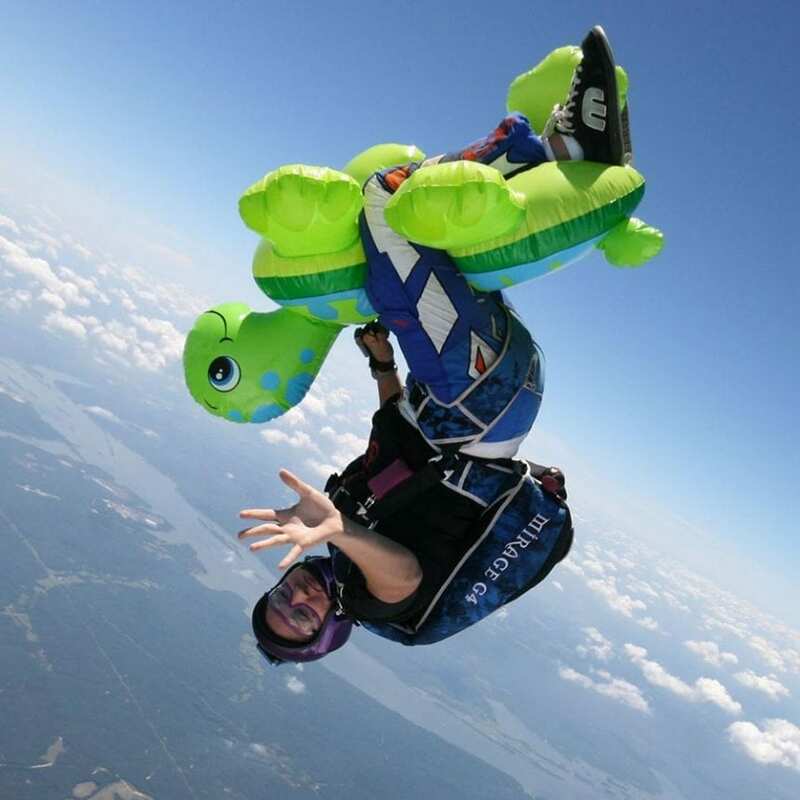 I didn’t really know what to expect when I went for my tandem skydive. 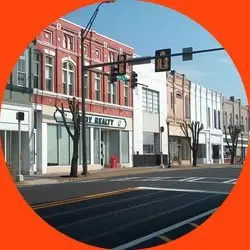 I’ve wanted to do it for a while and finally picked Cedartown to do it. Overall, I felt like the pricing was good and I got everything I was looking for. I was definitely a little bit nervous at first but the staff there put me at ease. Once I heard how many successful jumps they’ve had, I relaxed a bit. They also seemed as excited as I was to jump, which was nice. They have a passion for the business and it shows. If I ever want to join a community of jumpers, this is where I’d plant myself. Showing up to Skydive Georgia I tried to keep myself calm but it was nerve-wracking. 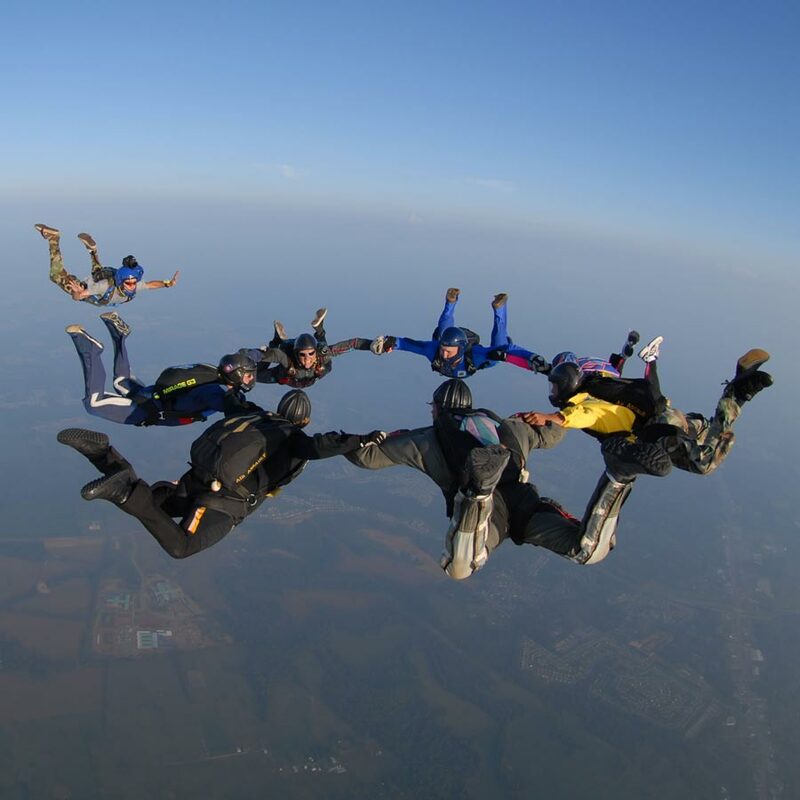 A few of my friends and I all did tandem jumps. It was nice that we all got to do it at the same time and share the whole thing. All of the people were nice and the equipment was basically brand new. I wish I could say that I was ready for it but I don’t think anything prepares you to jump out of a plane. The employees made it about as worry-free as possible for something so intense. I would recommend this place and would probably go back for more if I wanted to jump again in the future. 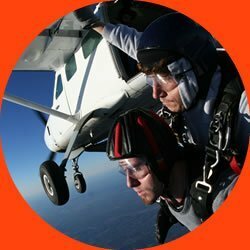 SKYDIVE GEORGIA – THE #1 SKYDIVING CENTER IN THE EASTERN UNITED STATES. 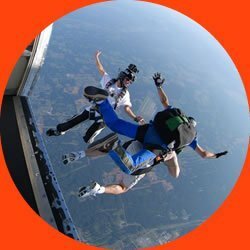 THE CLOSEST SKYDIVING CENTER TO ATLANTA!